If the 60-day VMware vSphere ESXi evaluation license expires for a host before you change it to your payed license, you will not be able to power on or reset the virtual machines running, and many features will no longer be available for your ESXi host. 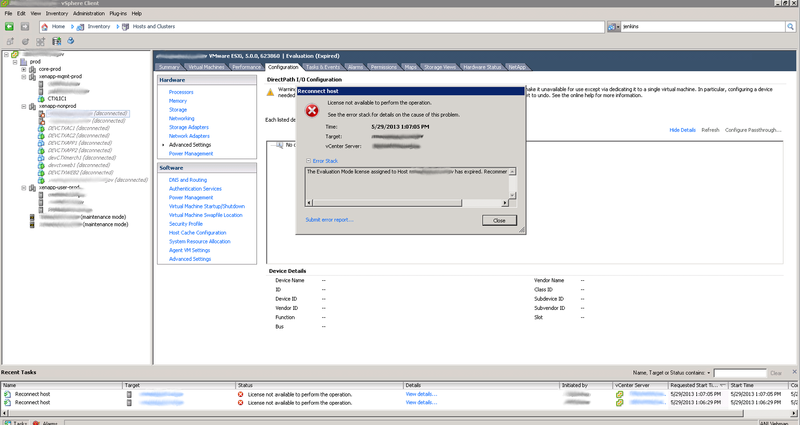 Since the host is disconnected, and the license has expired, you will not be able to change the ESXi license as you normally would (by going to Configuration > Licensed Features > Edit). Click Licensed Features under Software. Click Edit under Licensed Features. 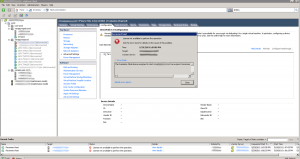 Select Assign a new license key to this host. Press Enter and enter the License Key.